February might be intended to be a month of love, filled with flowers, hearts, candy, and the like. But who says guns can’t equal love? I know they do in Georgia, where a friend of mine got a free gun included in the purchase of his wife’s engagement ring. (I’m honestly not kidding.) So maybe it’s only appropriate that Aeria Games plans to kick off open beta for Ironsight. The first-person shooter, set in the near future of 2025, will kick off OBT on February 1. 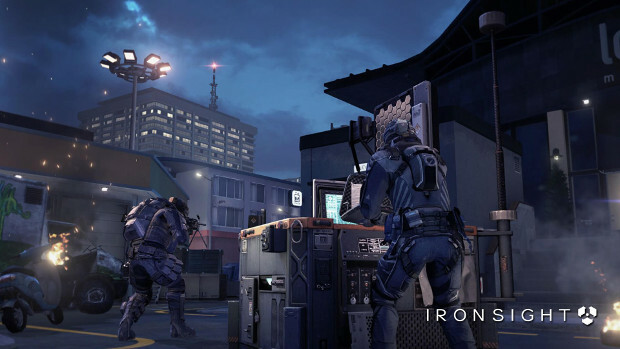 Ironsight is built on a custom engine — the Wiple Games engine — and features classic shooter controls. Players will have the benefit of being able to use a variety of drones in battle, as well as build out their own arsenal out of over 100 weapons and accessories. The game is also set to launch with several game modes, for everyone from the PvE fans to the full blown deathmatch fans. If you’d like more info on the game, head over to the official site or check out our own First Look video. The CBT was pretty fun, played with a couple friends and had a good time. I don’t recall any PvE content during that time though. Hopefully that’s fun. Aria did sf2 before it shut down and that was awesome :s so idk i dont hate them that much. umm hello that game was pay2win….